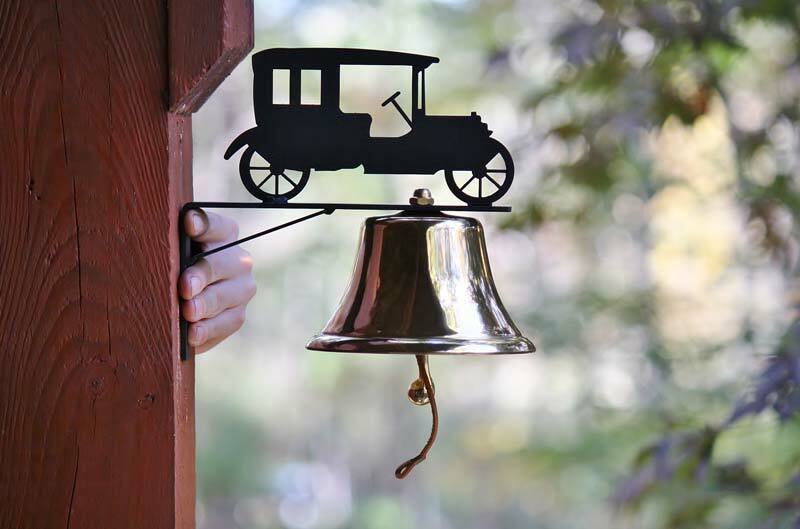 This dinner bell has been lacquered to protect its brass finish. 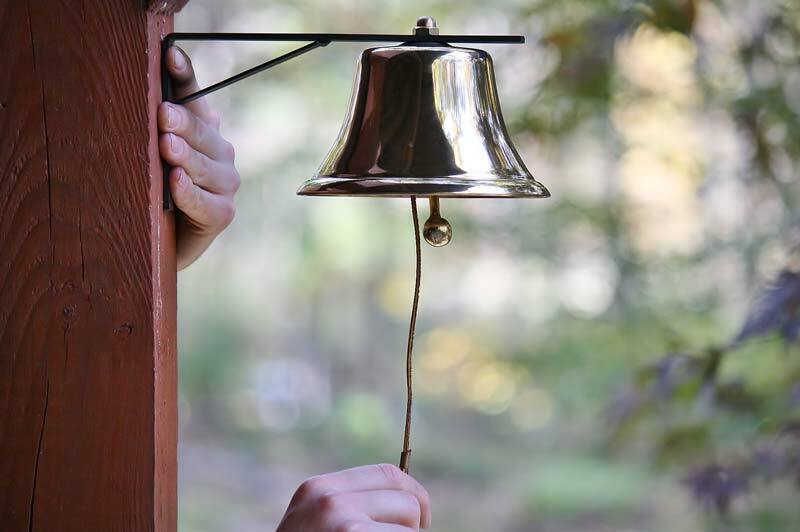 The pleasing tonal qualities will call in children or guests for dinner or other activities. 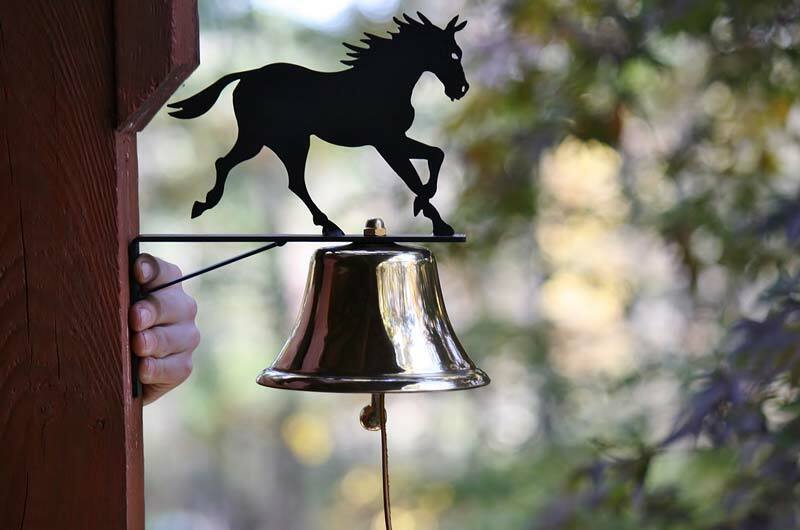 The horseshoe and bell hanger are made from cast iron making them quite sturdy. 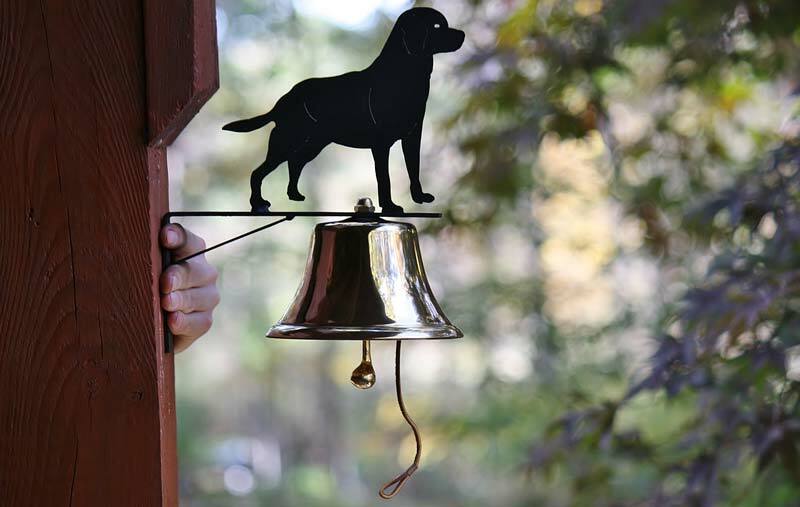 This bell's ringing can be heard from long distances. Comes with two screws to attach.